On July 1st 1907 a third son, Hugh Armigel, was born to the local solicitor Richard Wade and his wife Alice. 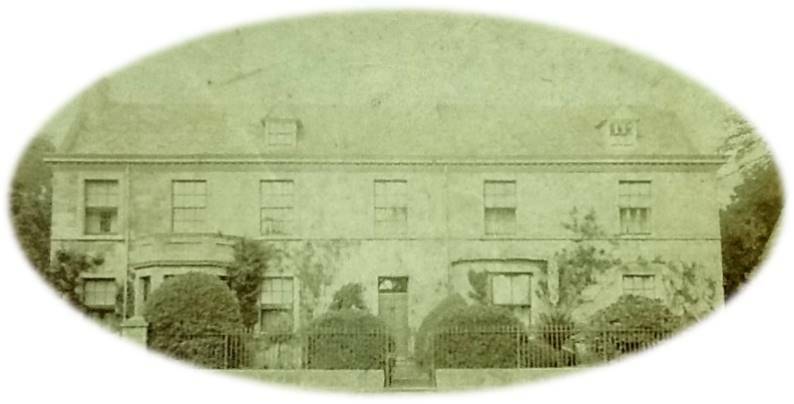 The Wade family lived at The Park, Market Deeping, the graceful building shortly to reopen in 2016 as the Deepings Library known now as Wade House. Hugh’s name may be largely forgotten today but he was destined to become one of the youngest musical talents in Britain in the 1920s. His songs and music would captivate musicians and listeners across the country. Hugh’s talent shone out at an early age and by the age of 15 he won the Marlborough College Prize for Instrumental Composition, judged by the organist of Westminster Abbey. Shortly afterwards the members of Market Deeping Mothers’ Union were in for a treat when he performed in a jazz band with two local friends. Little did they know that within four years Hugh would be promoted by the established Shaftesbury Avenue musical publishers, Feldman. 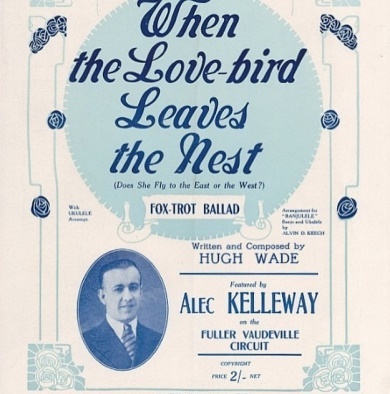 His fox-trot ballad “When the Love Bird Leaves the Nest” was a “sensational success” and was being played by dance bands from coast to coast. Hugh had made an immediate impact and sheet music was the key to success – there were no music charts then! So began a period of prolific composing by this young melodist. Hugh penned “sensational” and “tuneful” fox-trots and “haunting” waltzes, while Bert Feldman published and promoted them – a winning combination. In February 1928 the whole musical world was urged by the magazine “The Era” to join in “Sally Week” by playing Hugh’s latest fox-trot “When I Met Sally”. “When the Swallows Fly Home”, “Rosalie”, “Like a Virginia Creeper”, “Why Am I Blue”, “Somewhere in Samarsk” … sometimes he worked solo, sometimes with fellow musicians. By 1929 it seemed that Hugh’s success would lead him across the Atlantic to the new field of talkie movies when Feldman linked up with Warner Brothers. He was offered a contract and appears to have written a couple of new songs as a result. Hugh seems to have focused more on playing the piano and performance. He lived and worked in the heart of the theatre and clubs in London, moving within the bright young set in the social scene. By 1936 he had turned his hand to writing music for London revues including “To and Fro”, described as “an unusually intelligent revue”; all involved were under the age of 28. Hugh’s song “Souvenir De Paris” reflects his time spent at Cap Ferrat in France during the pre-war years. He was a popular figure in Paris and even 10 years ago he was still remembered by one French lady when she met his great nephew, William. The leading record companies of the day and the famous bands, including Henry Hall with the BBC Dance Orchestra and Reginald Dixon in the Blackpool Tower Ballroom, played his numbers. Hugh’s music would be heard and played across the country. He continued to write in the 1940s, despite his health beginning to decline, working with Leigh Stafford on “Let it be Soon”. This was his biggest post-war success, “sentimental, wistful and nostalgic”. “Time May Change” came a close second, written in 1948 for the musical “Maid To Measure”. In declining health he returned to his family home and while he was being nursed in Peterborough Hospital he still received visits from celebrity friends, including Elsie and Doris Waters. He died on April 10th 1949 of throat cancer at the young age of 41. Hugh had captivated the music-loving public with his compositions for which he had a remarkable gift and we are delighted to remind our followers of this young man. Our very special thanks go William Wade, Hugh’s great nephew, for his generosity in providing information and photographs for us to use. William has suggested that the following link with Charlie Kunz the famous band leader playing “I’m Tired of Waiting for You” might be of interest. This entry was posted in Local History, Out of the Box and tagged Deepings Heritage, Hugh Wade, Market Deeping on January 2, 2016 by deepingsheritage.